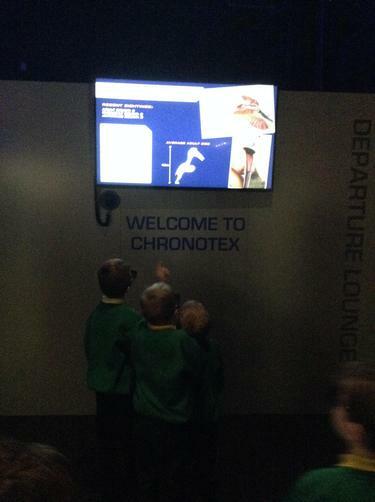 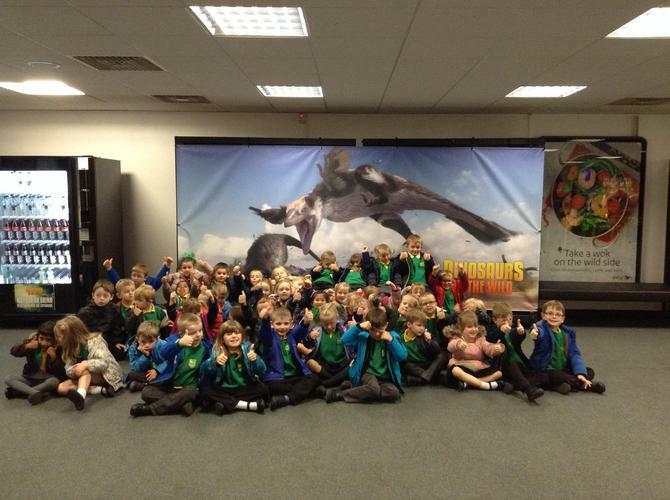 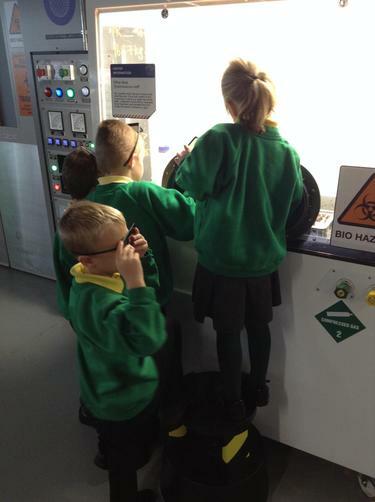 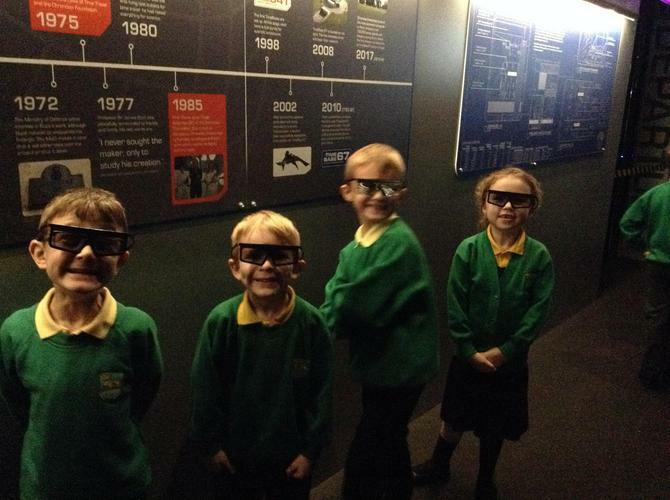 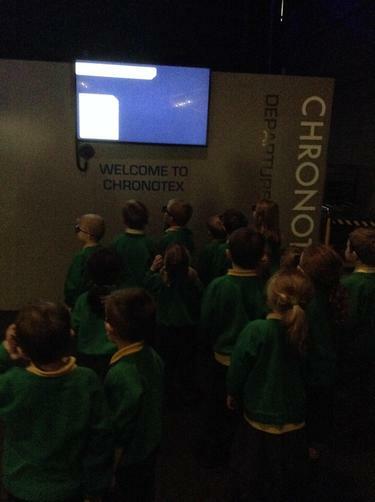 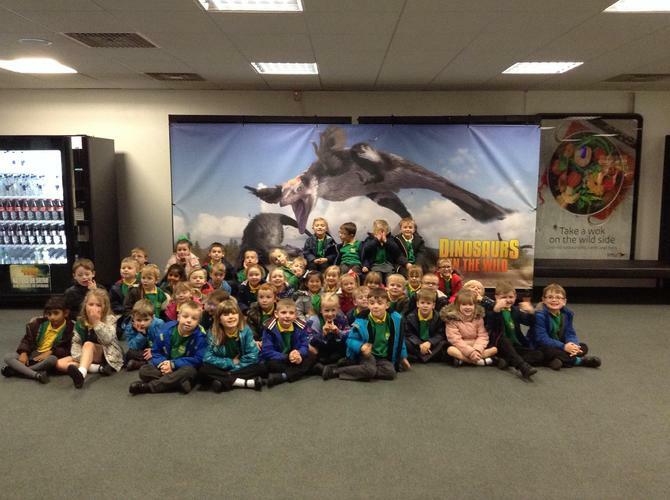 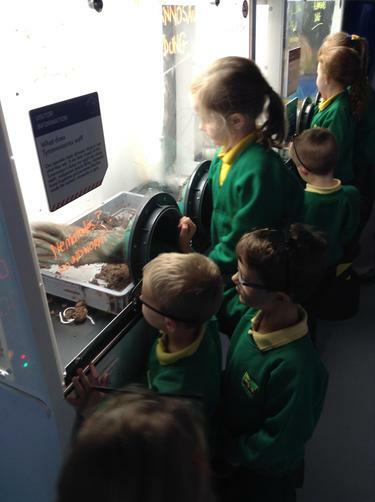 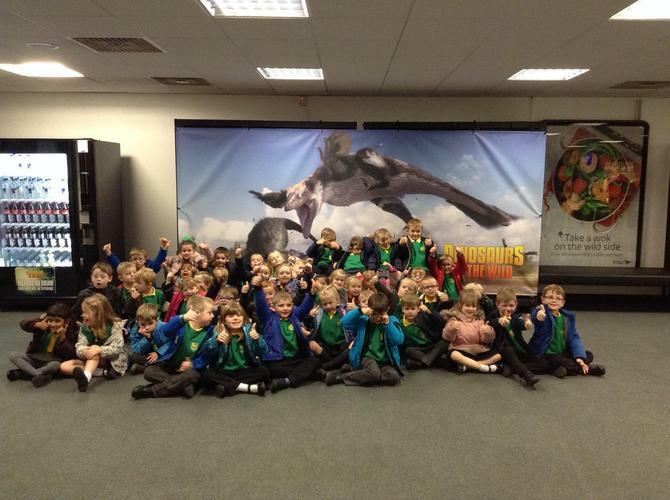 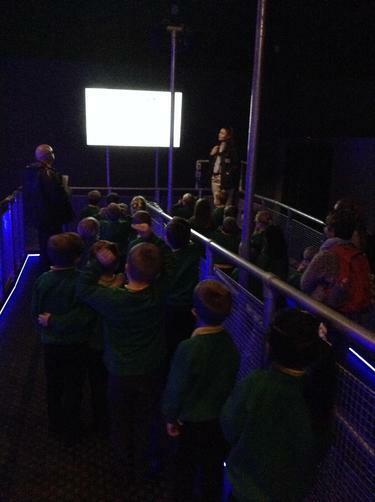 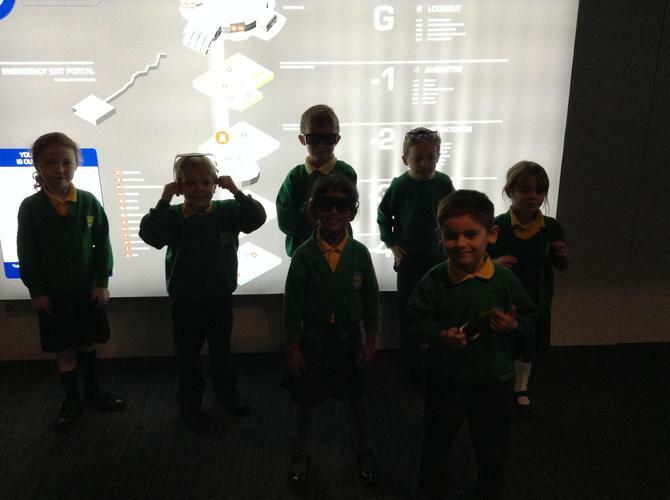 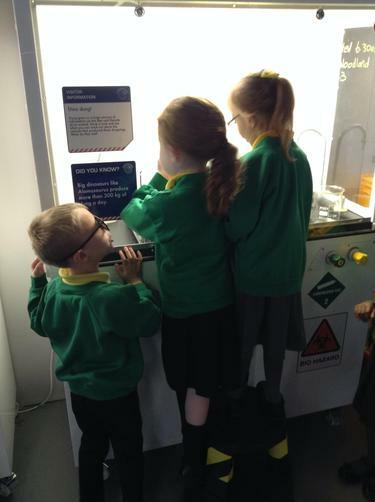 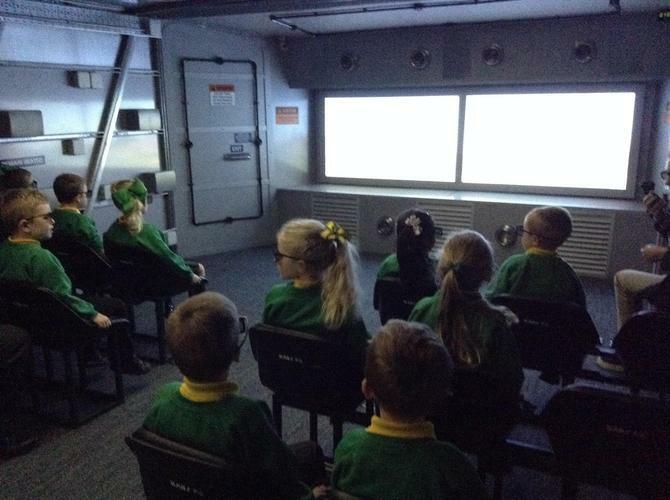 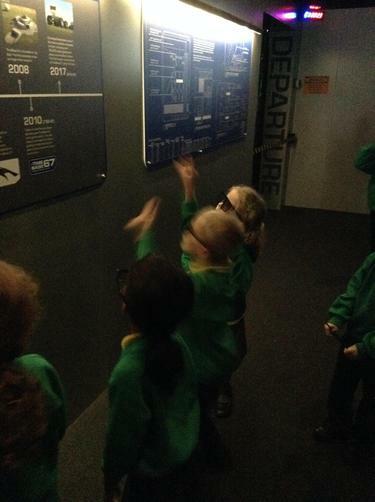 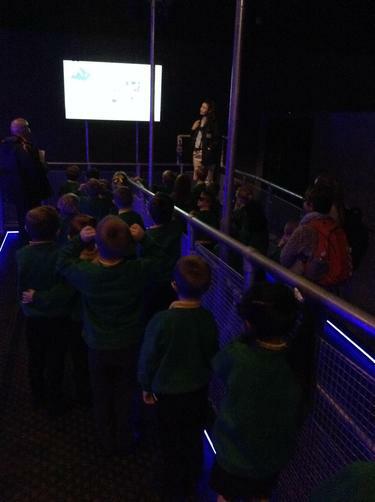 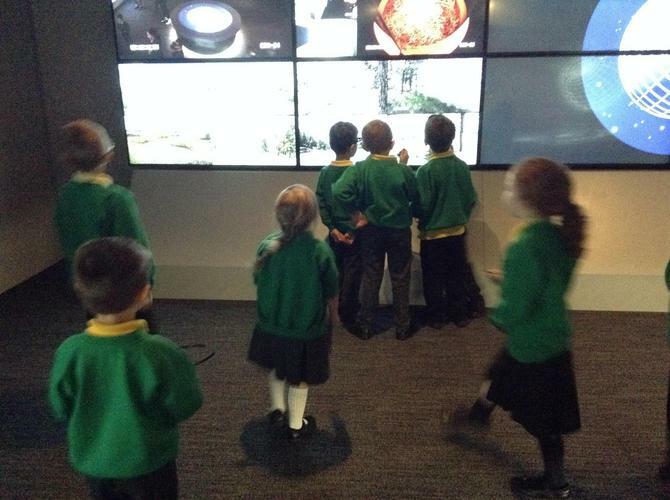 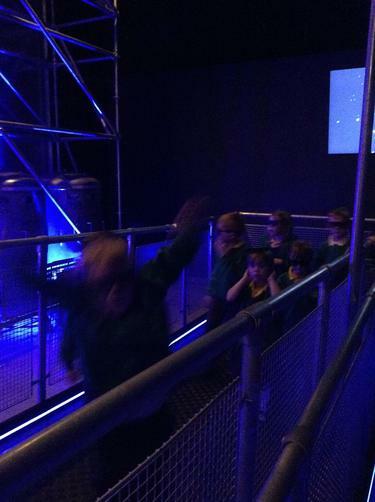 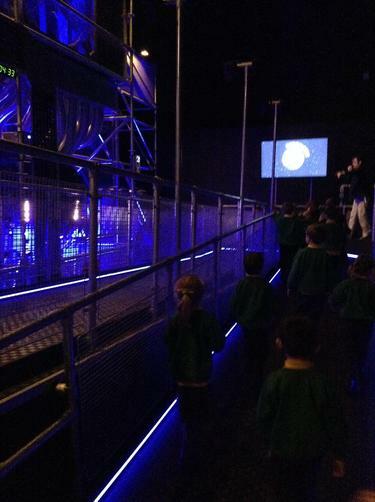 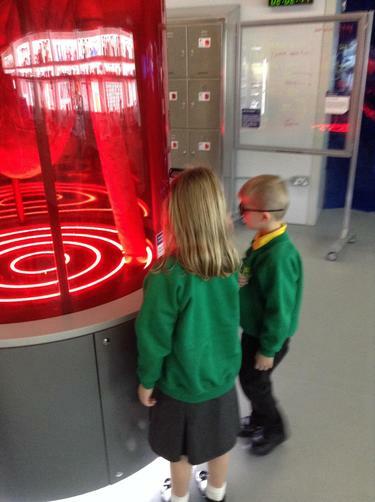 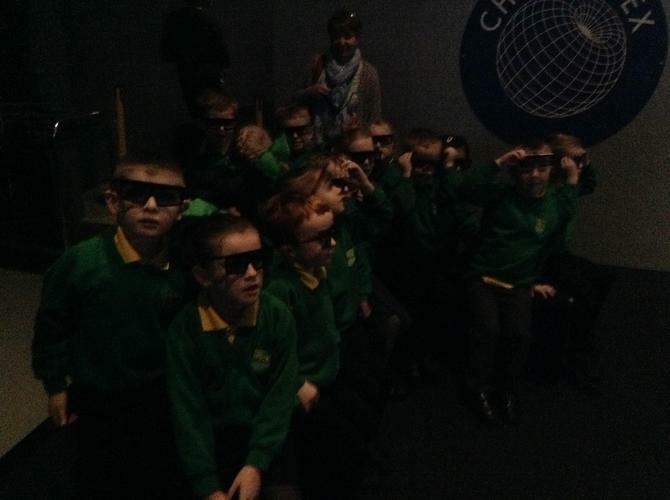 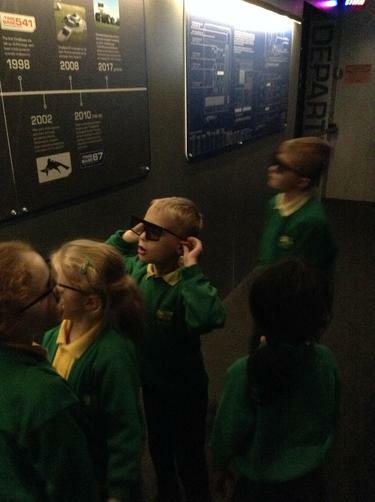 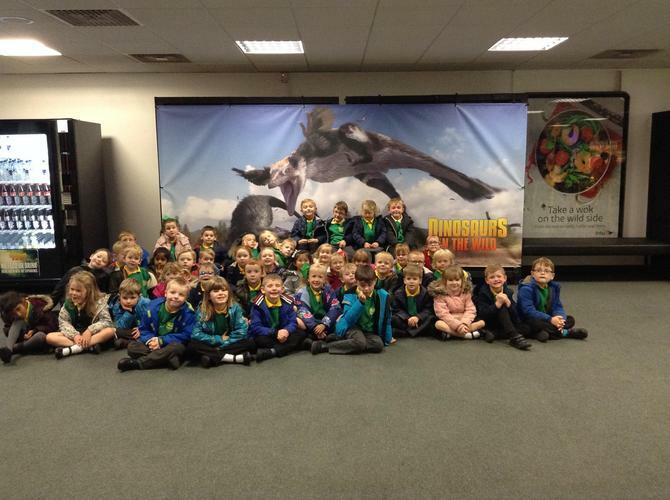 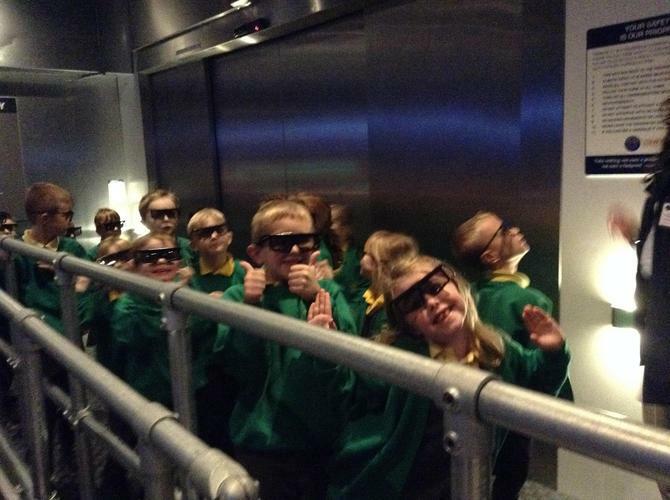 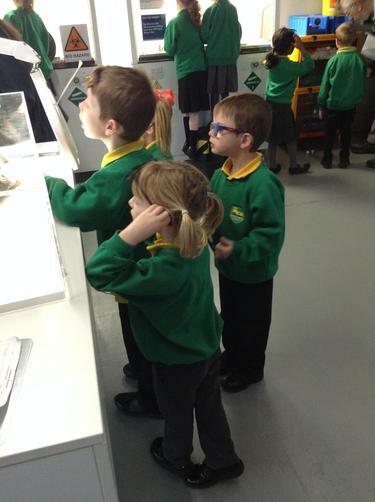 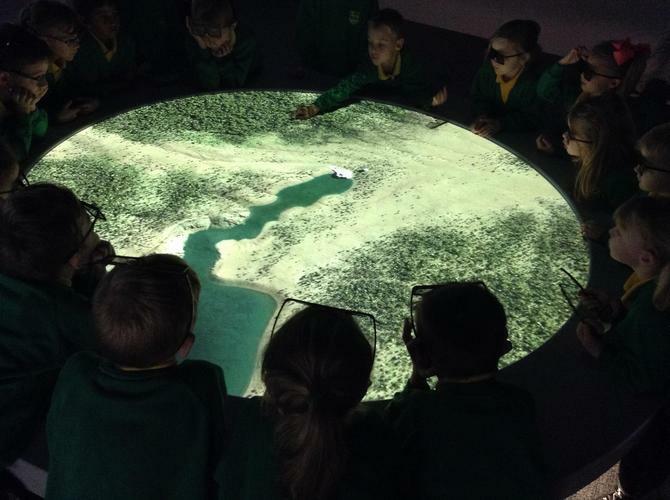 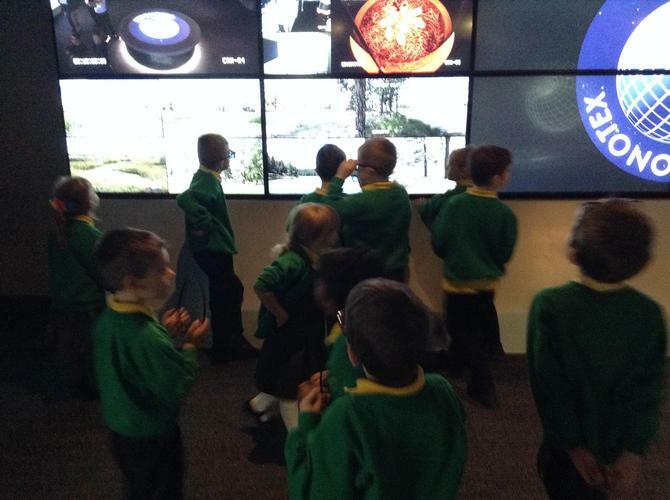 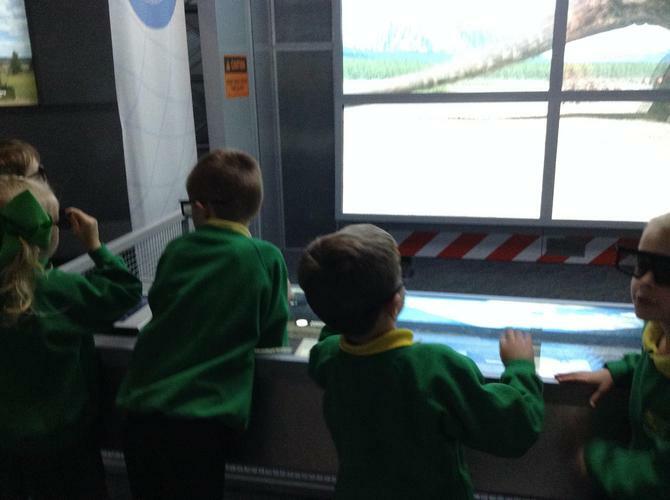 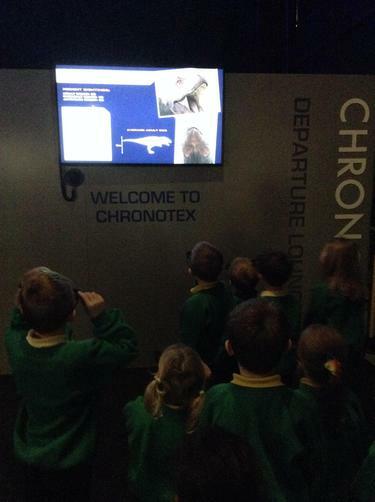 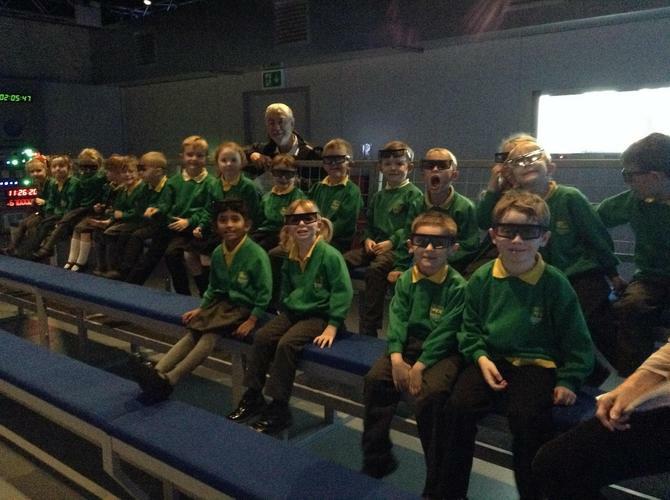 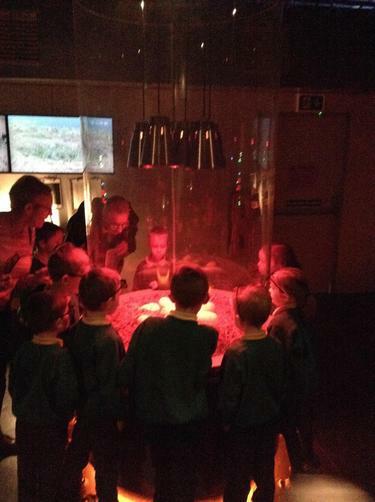 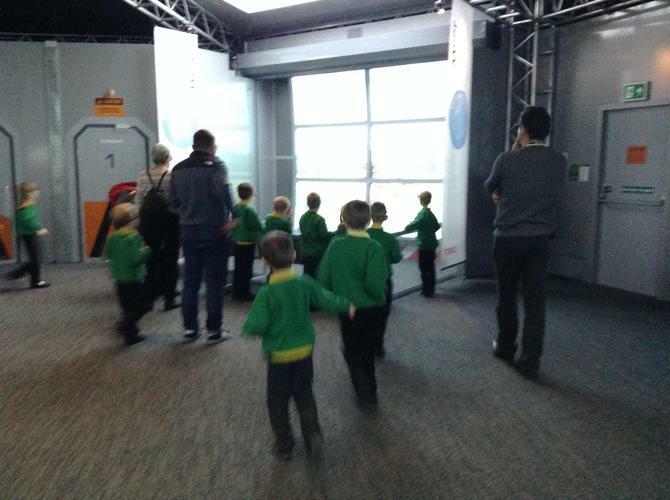 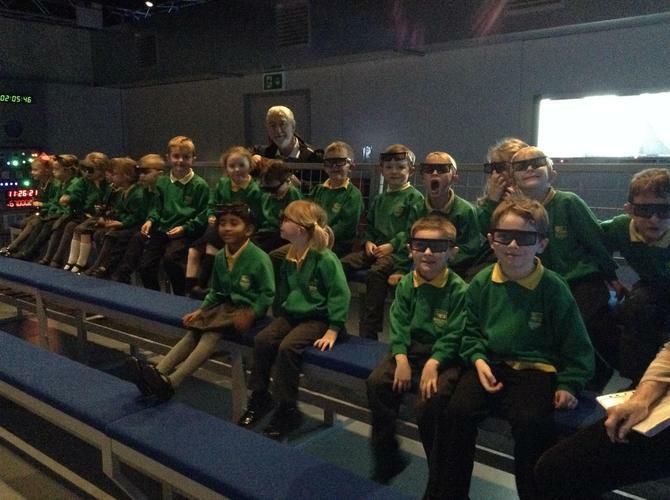 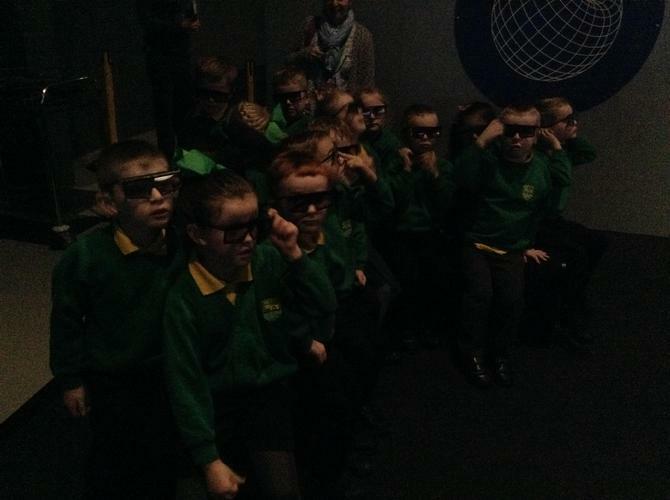 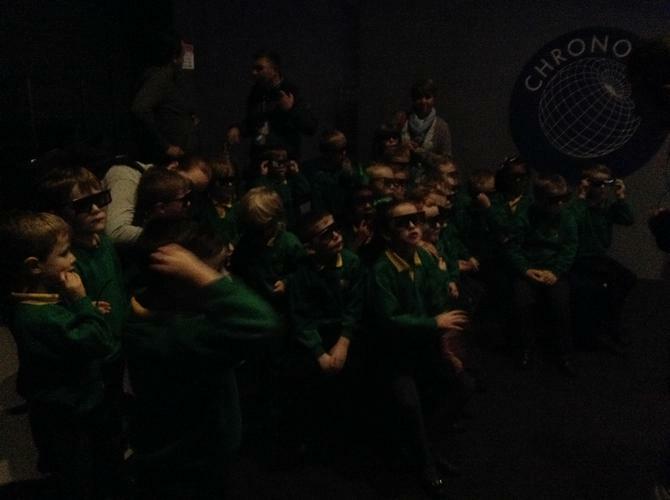 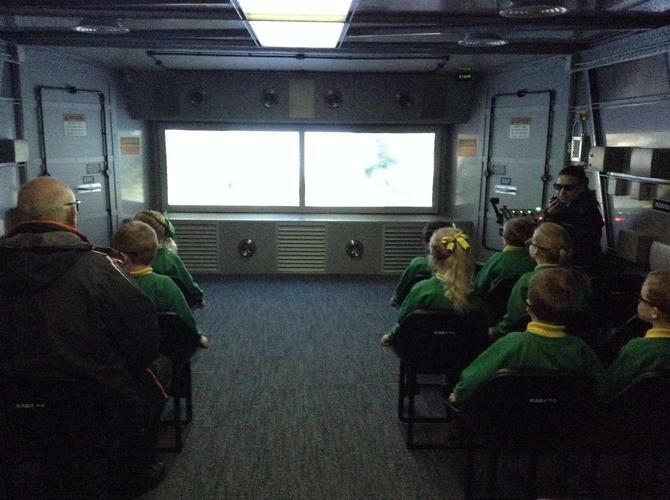 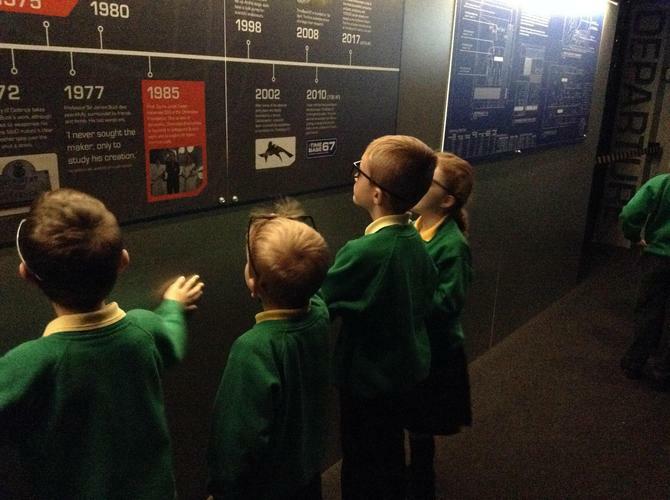 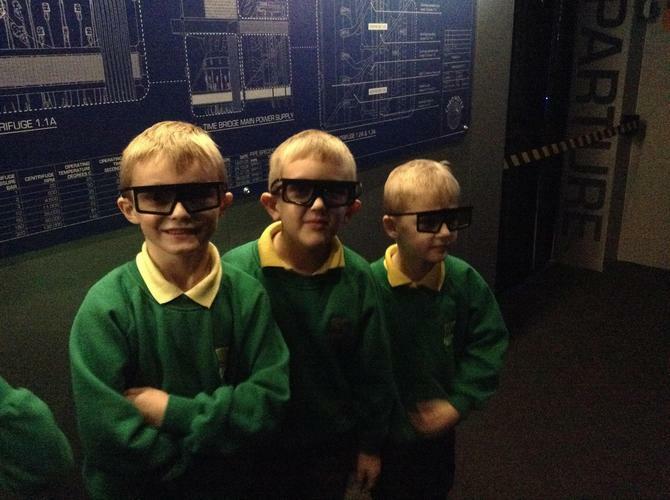 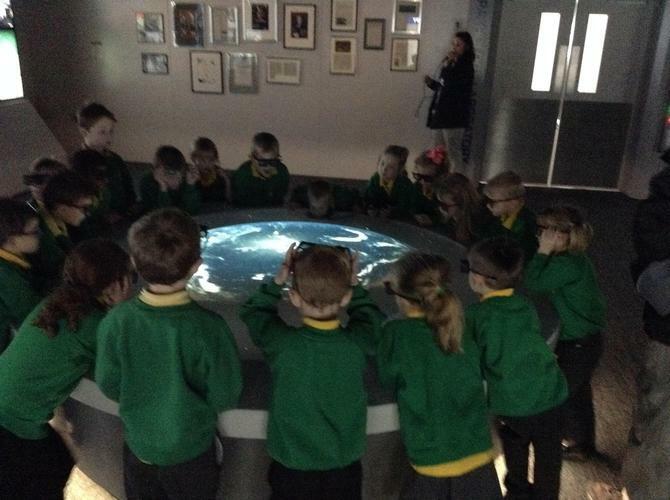 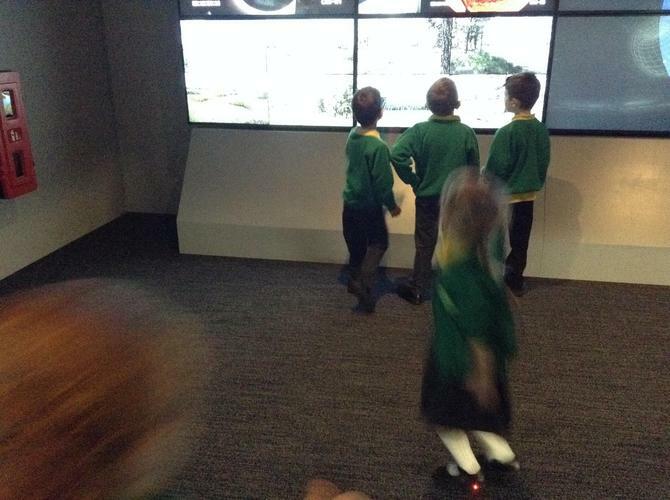 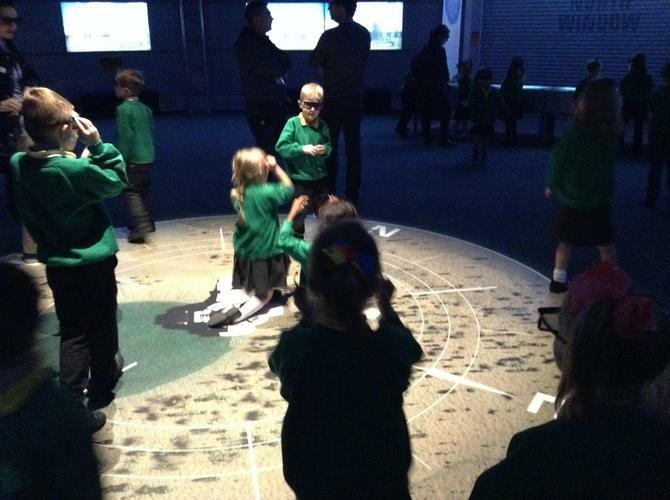 We all had a fantastic time on our trip to see 'Dinosaurs in the Wild'. 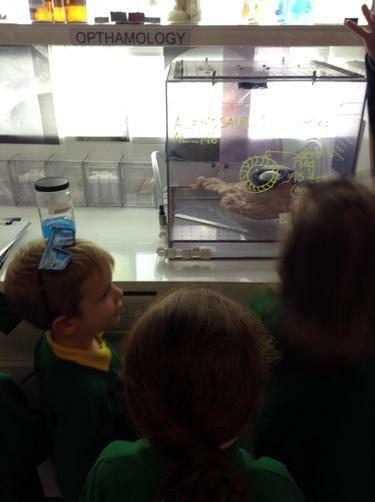 Amber says: "I loved it. 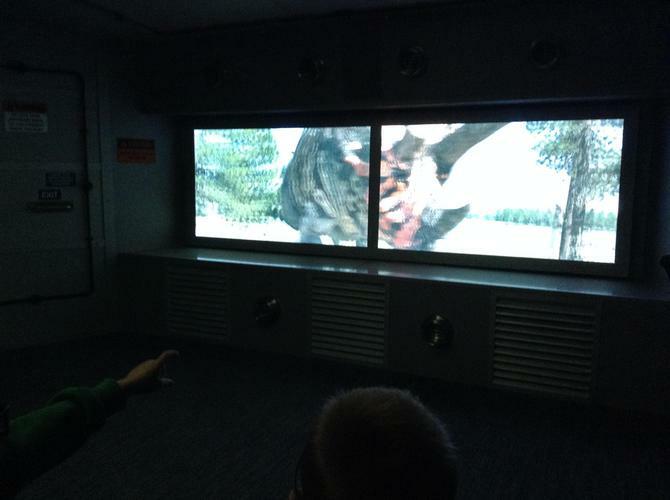 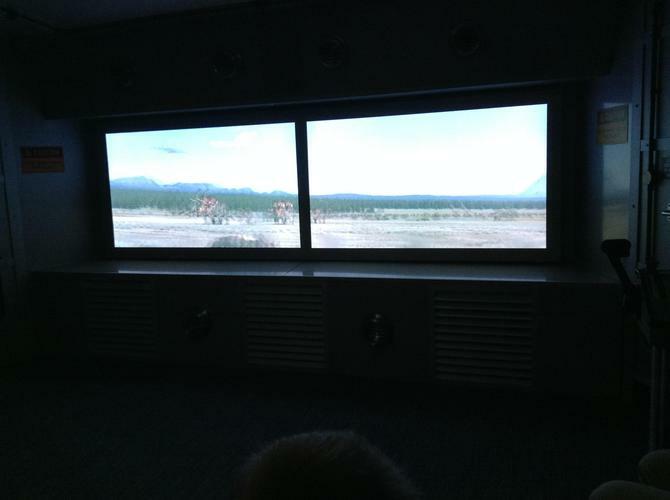 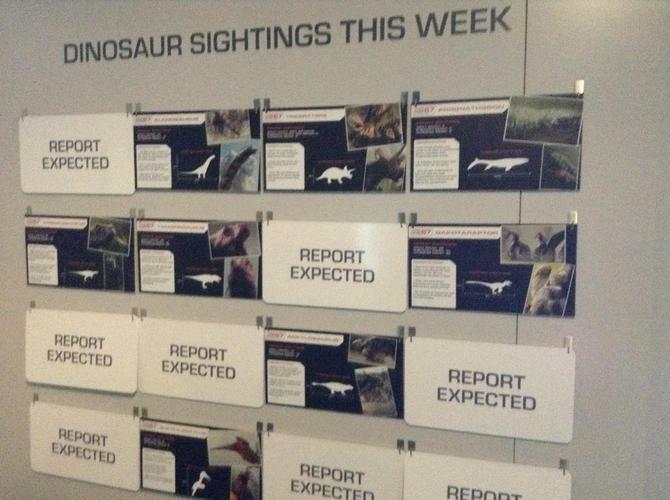 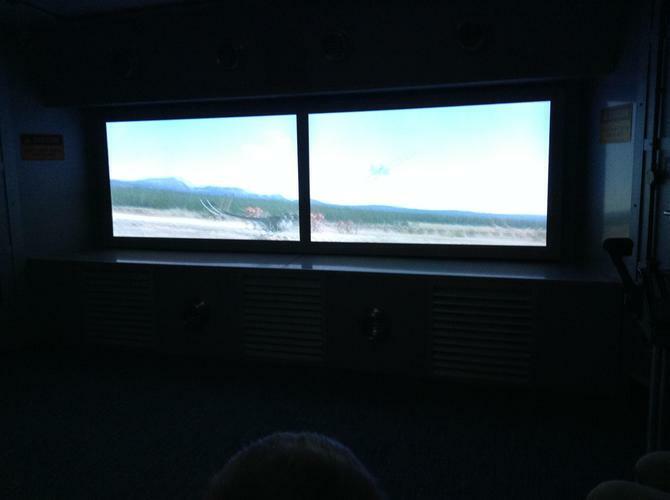 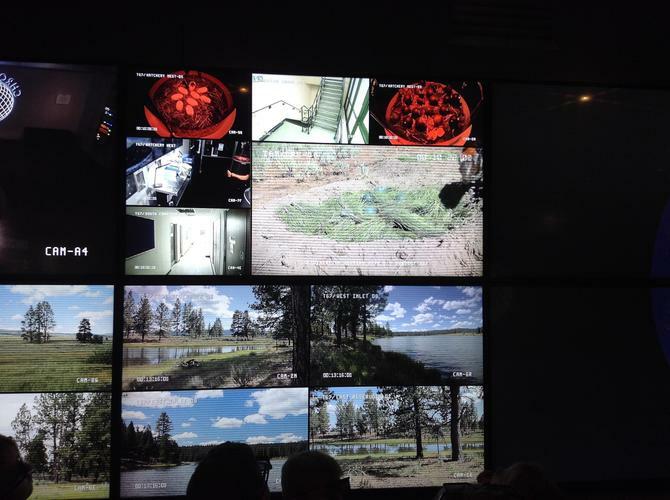 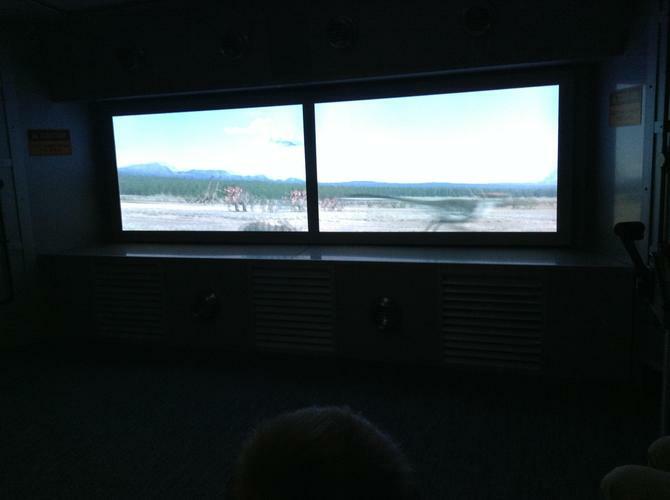 I liked the bit where the T-Rex hit the window". 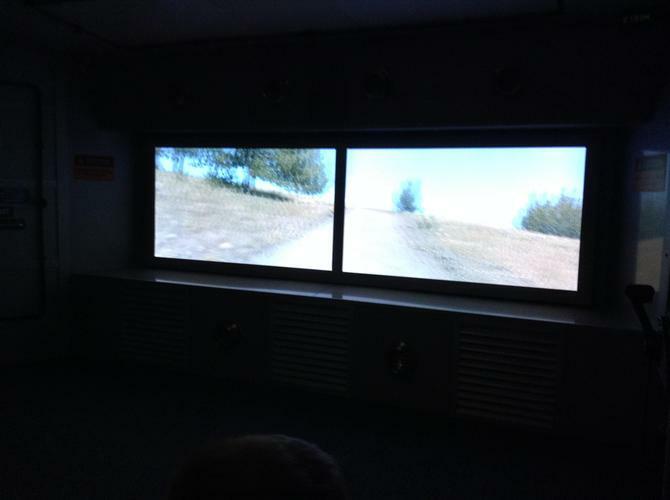 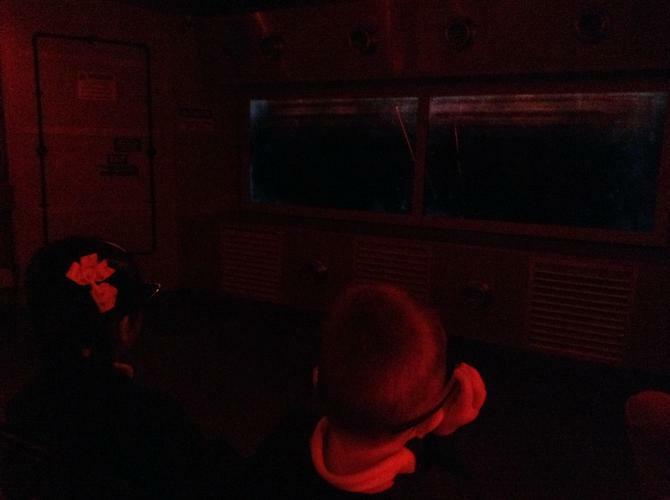 Leandre says: "My favourite part was when we were in the vehicles". 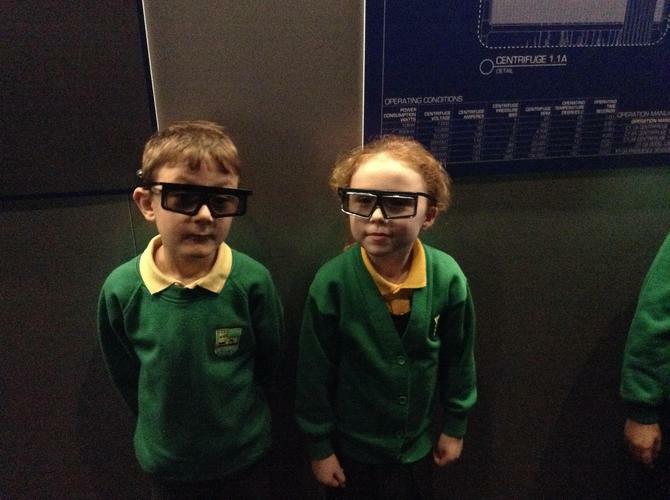 Millie says: "I liked it when we went back in time". 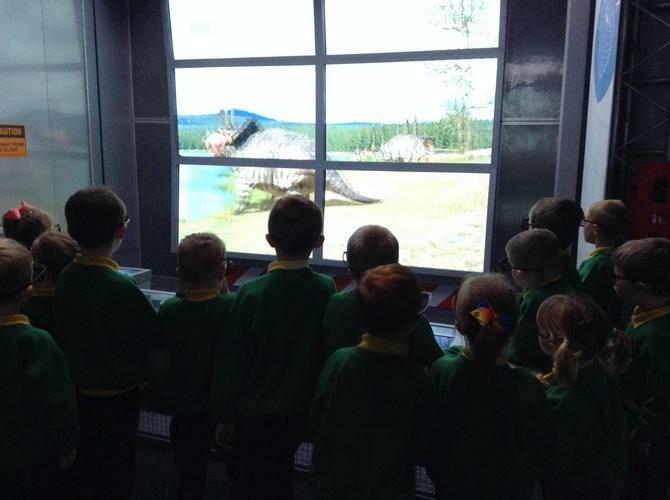 Sammy says: "I liked it when the sirens went off and it said 'nee nah' when the T-Rex hit the window". 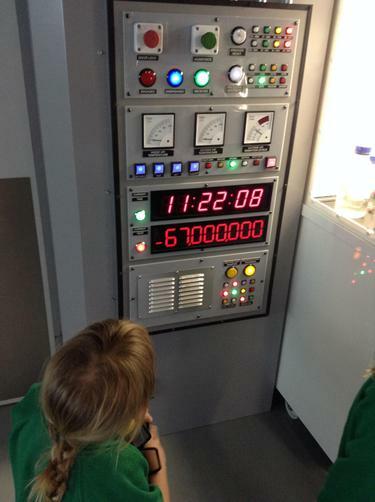 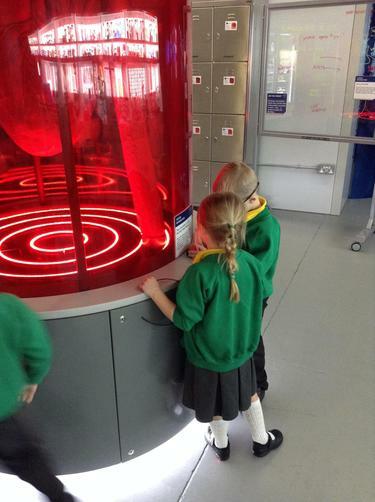 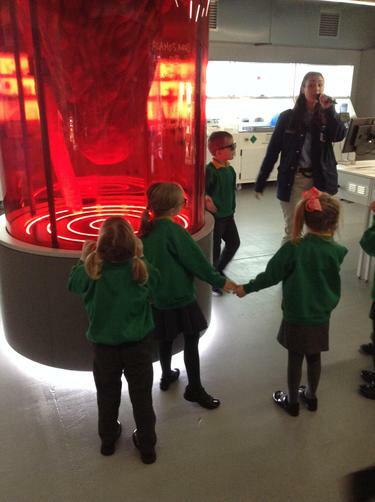 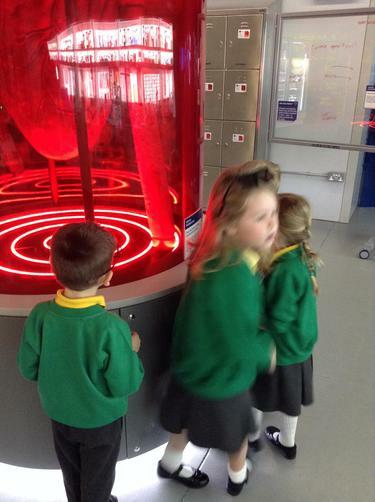 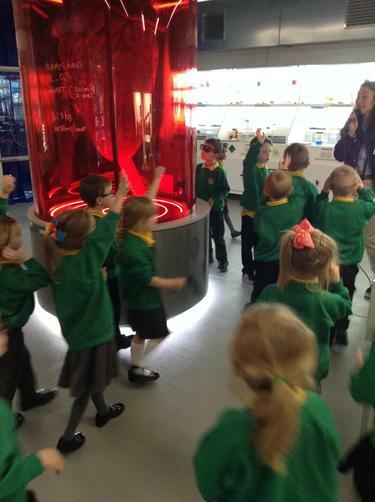 Sophie says: "I liked the bit when we were in the time machine". 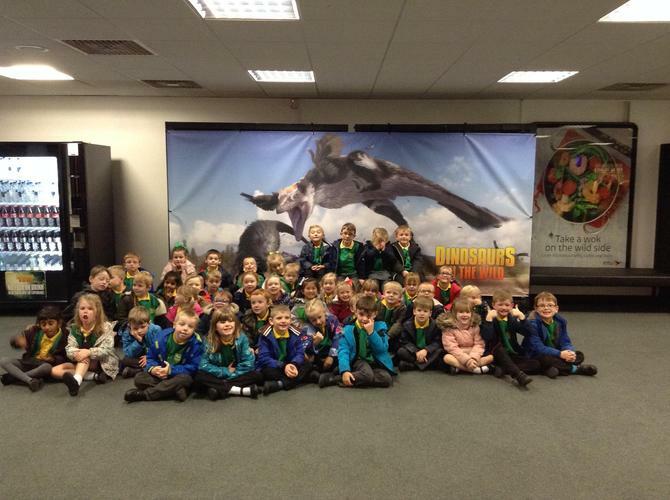 Rylee says: "My favourite part was when the T-Rex was eating the triceratops". 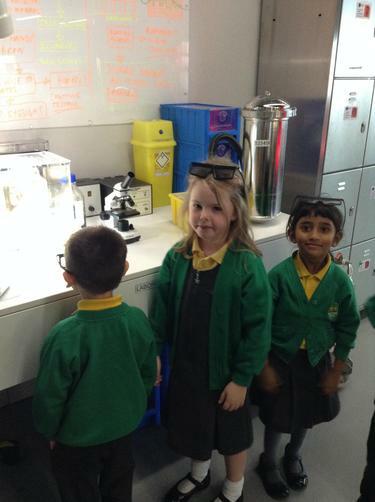 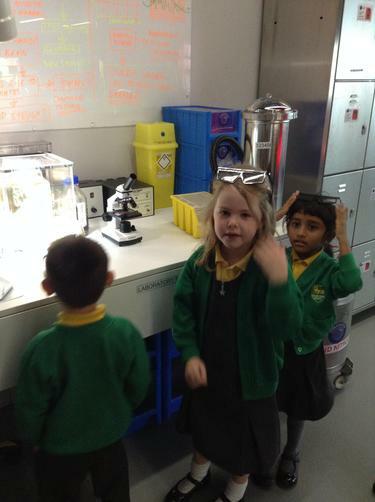 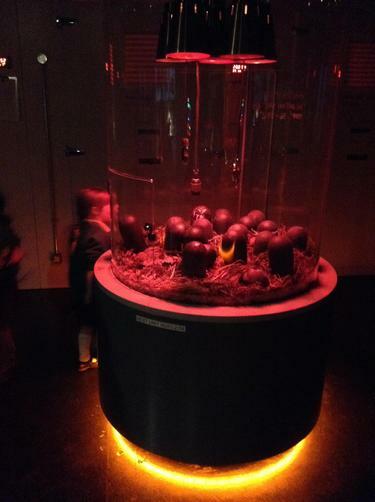 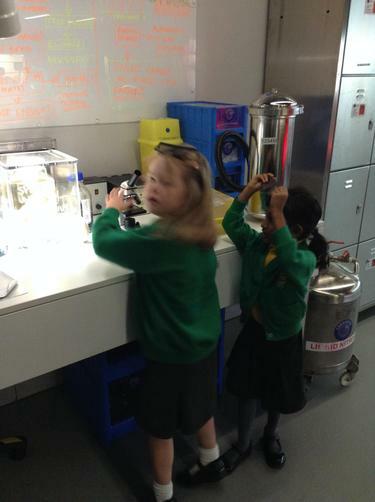 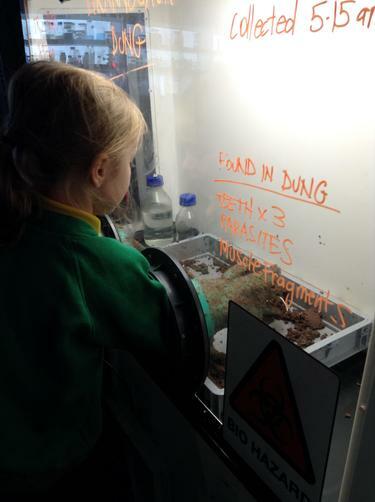 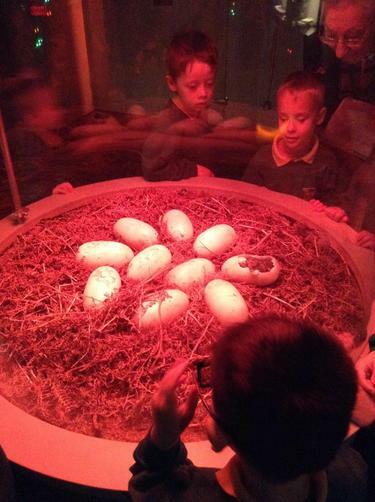 Aimee says: I liked it when we saw the baby dinosaur eggs hatch". 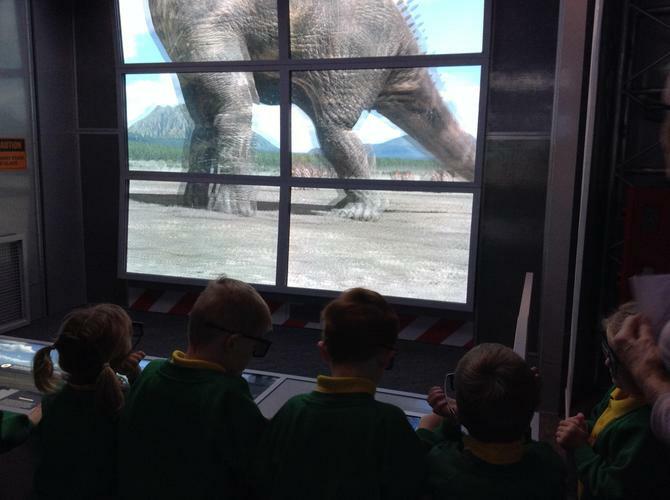 Michael says: "I liked the bit when the dinosaurs the dinosaurs were fighting the lady". 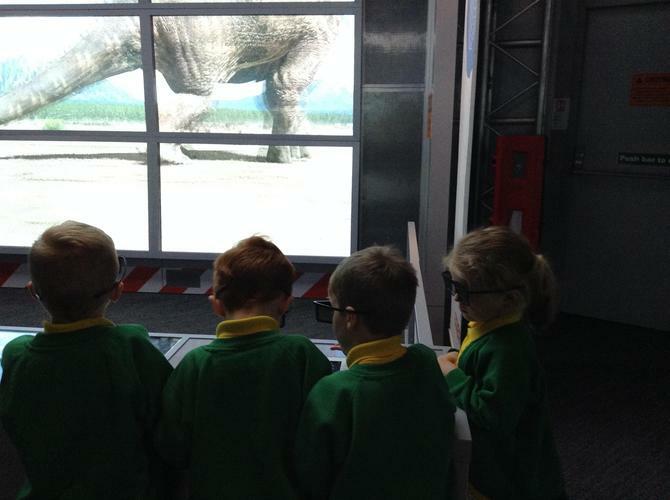 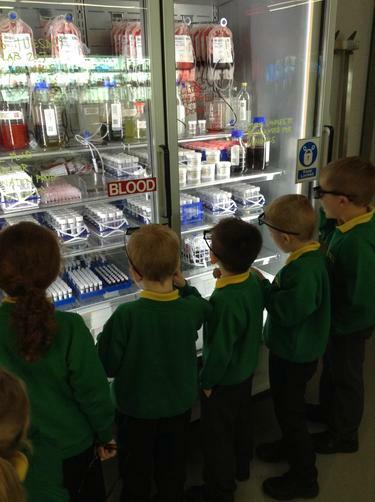 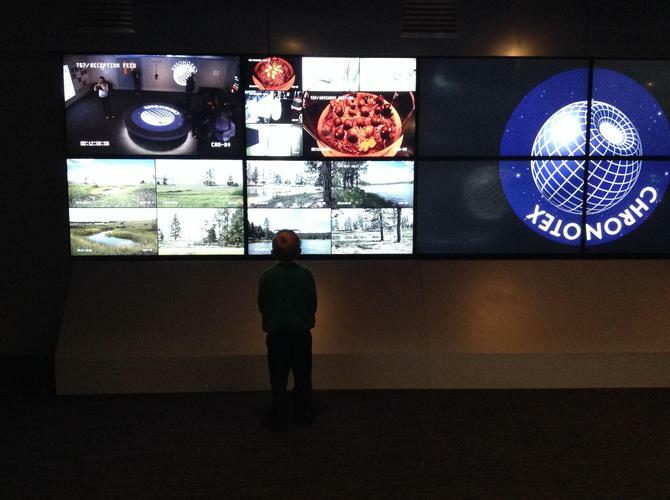 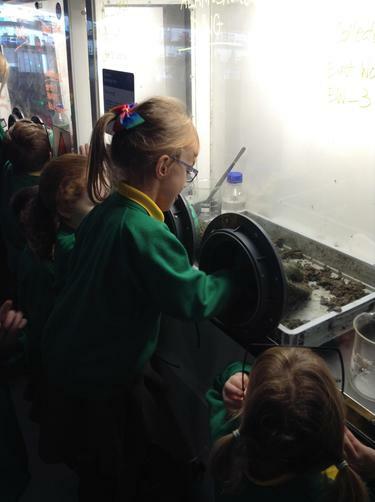 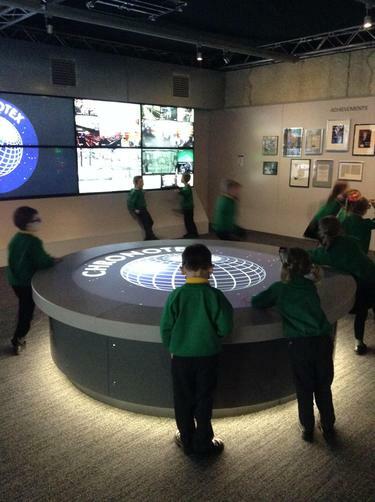 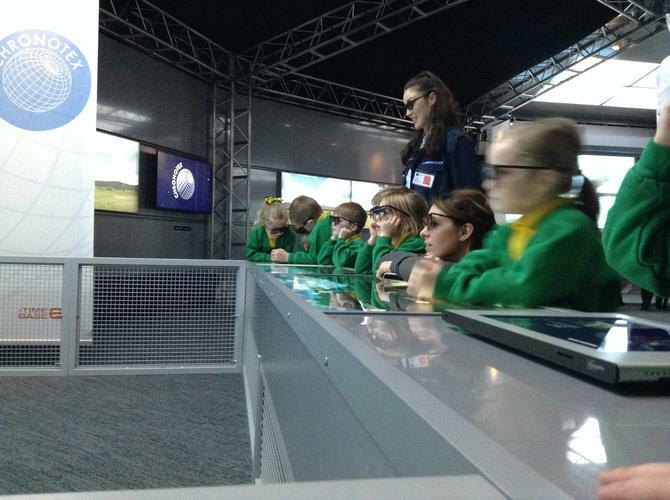 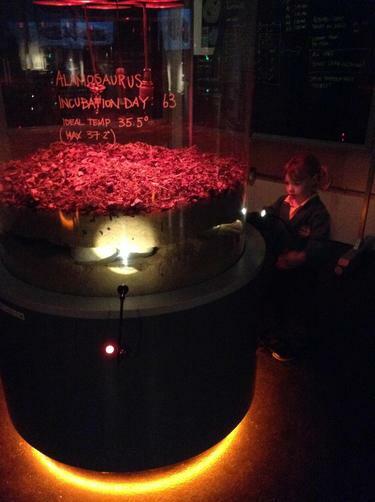 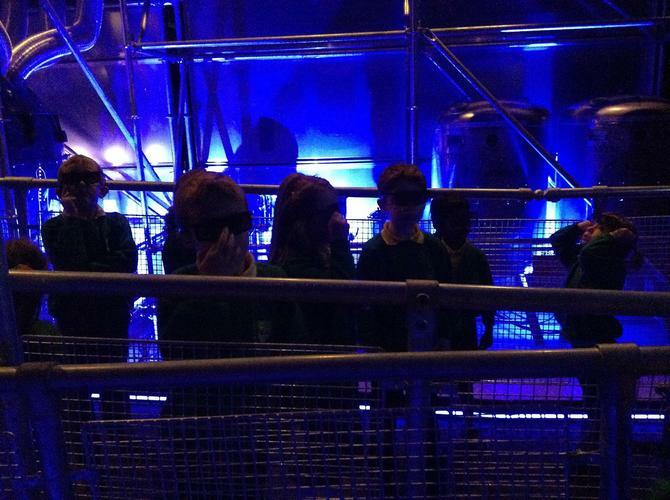 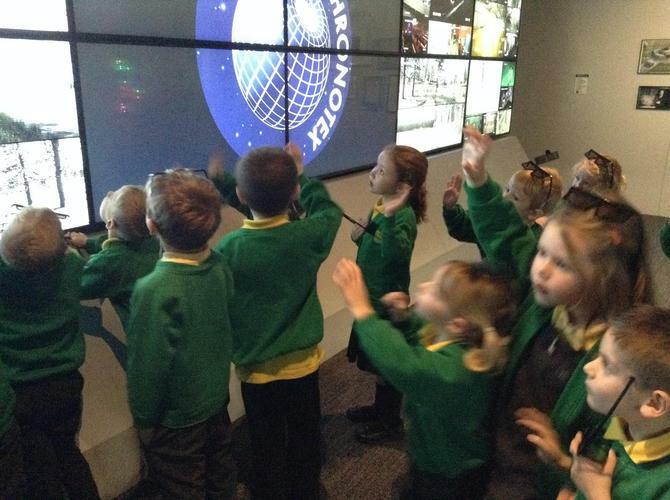 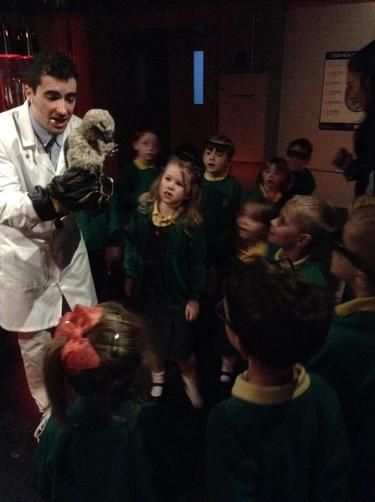 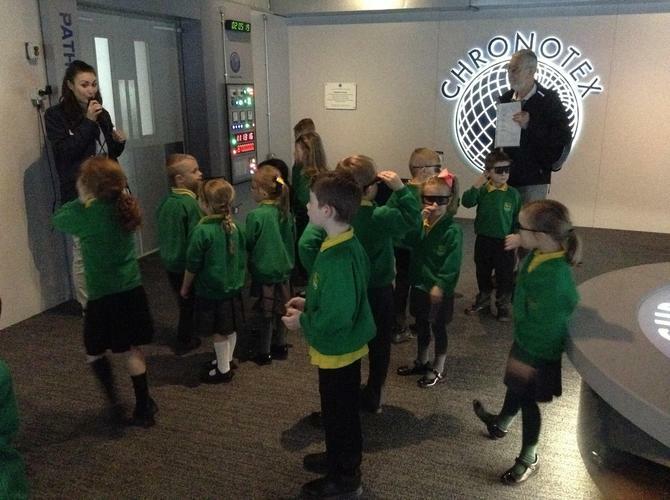 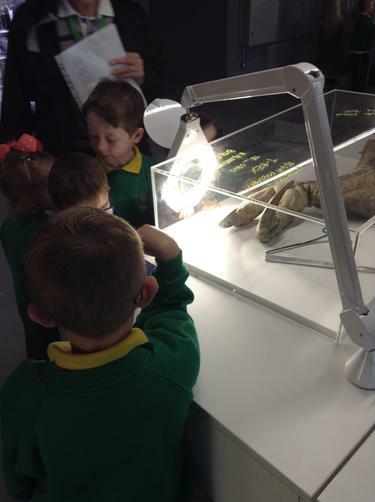 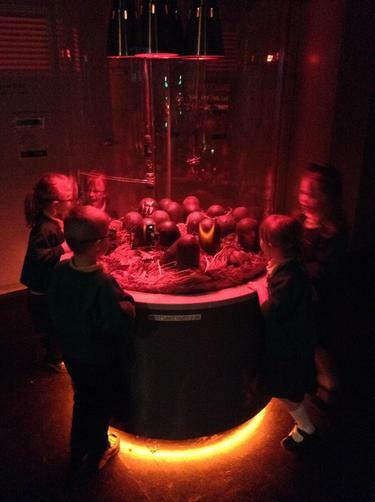 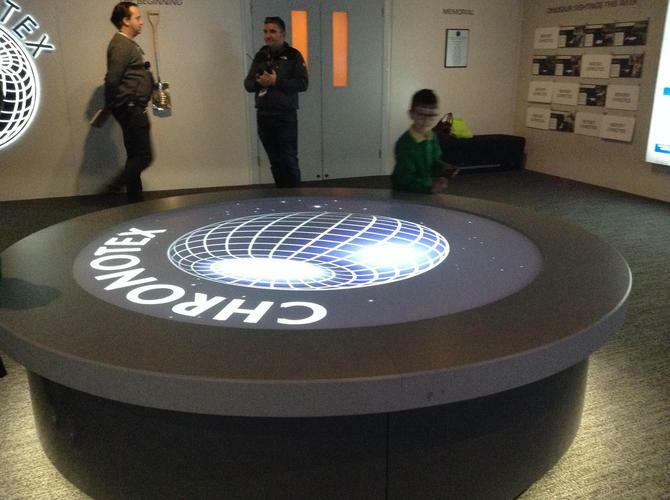 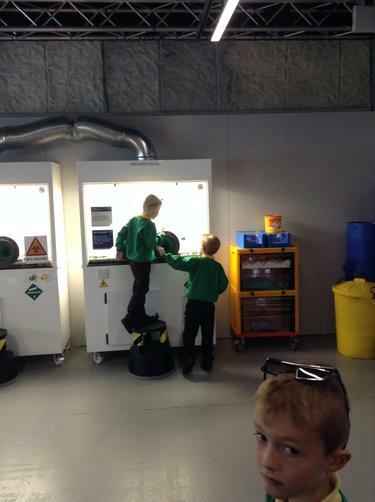 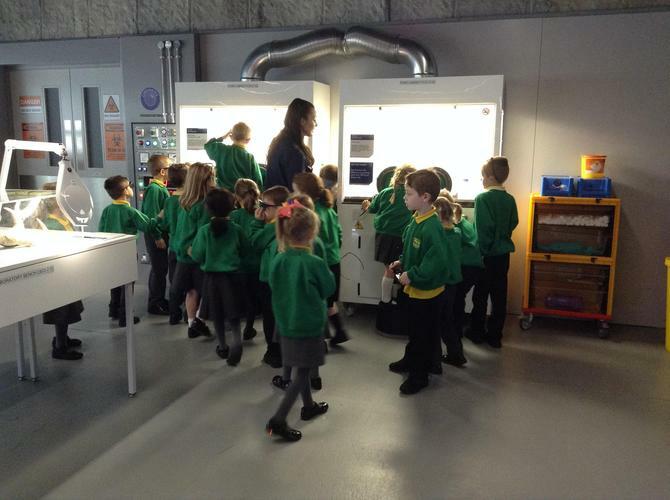 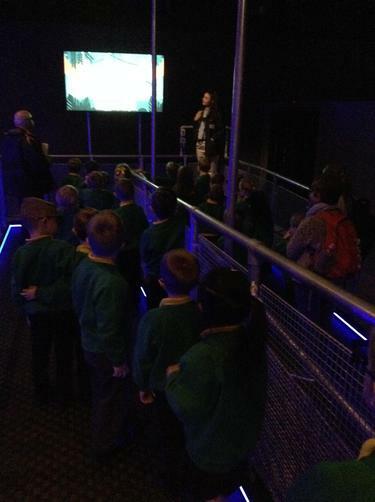 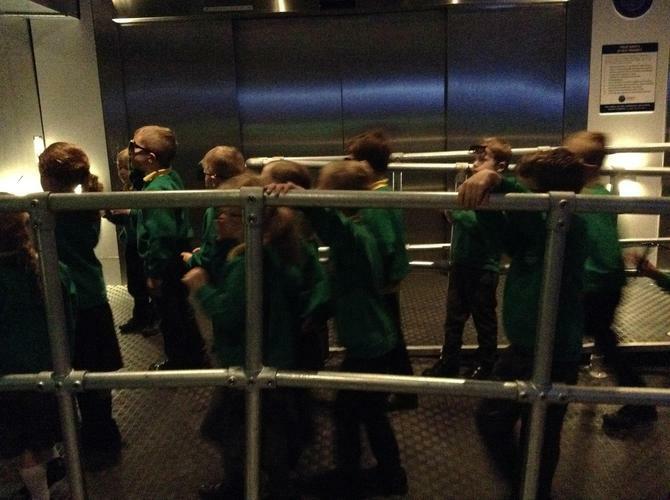 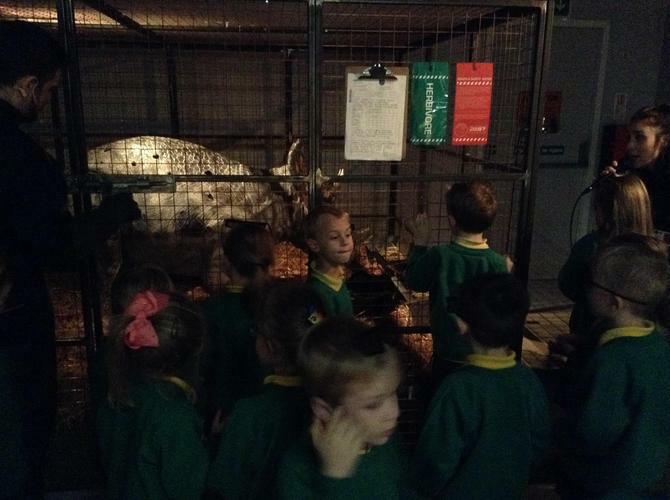 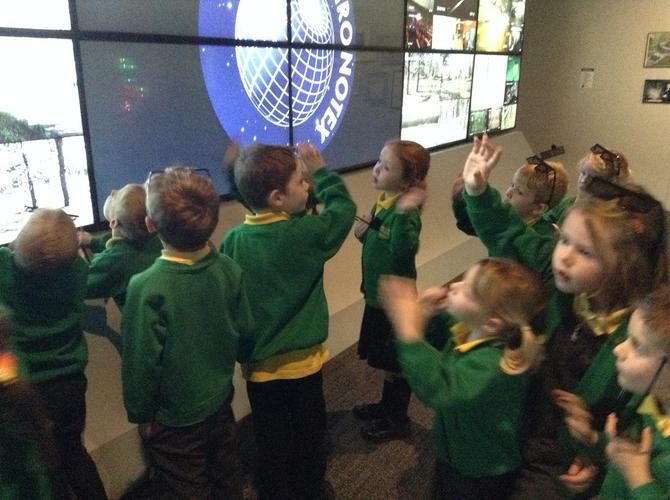 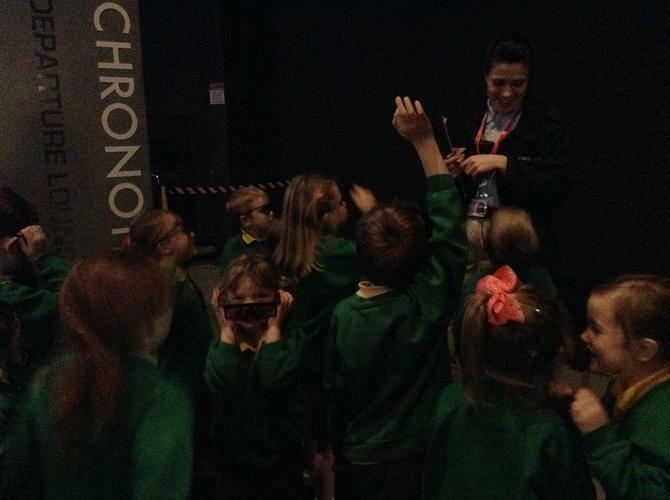 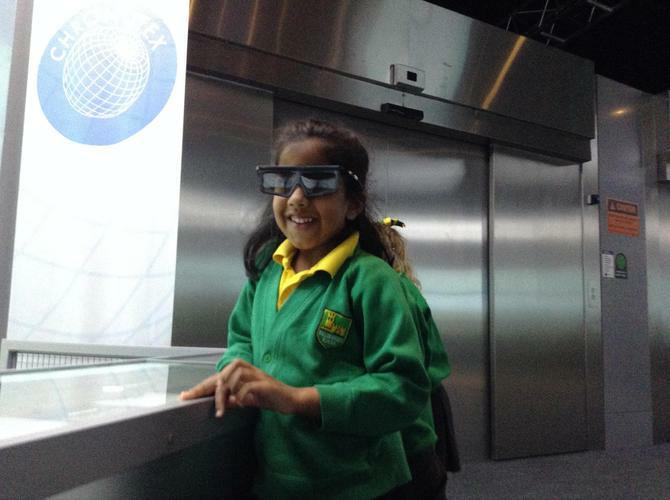 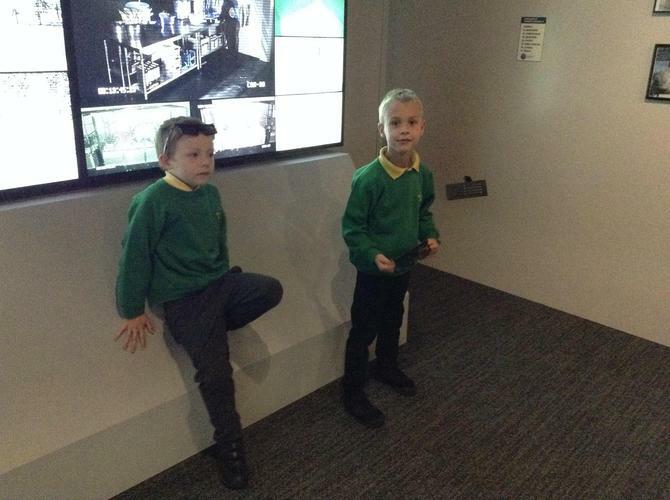 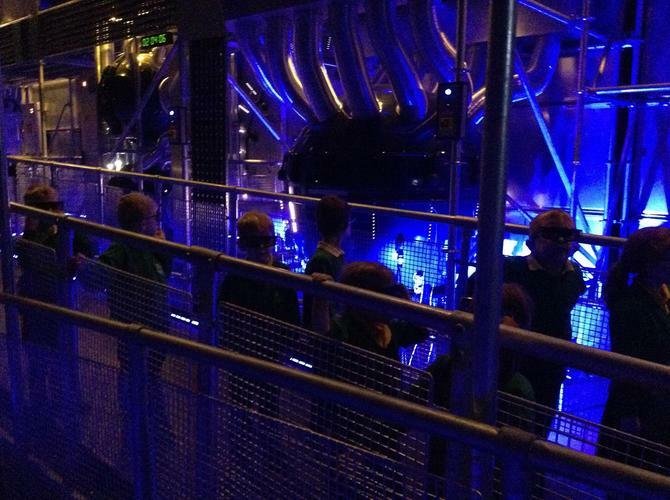 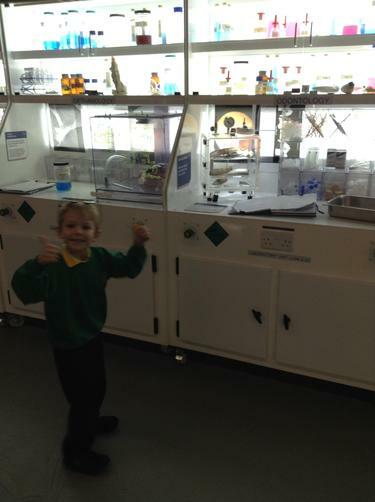 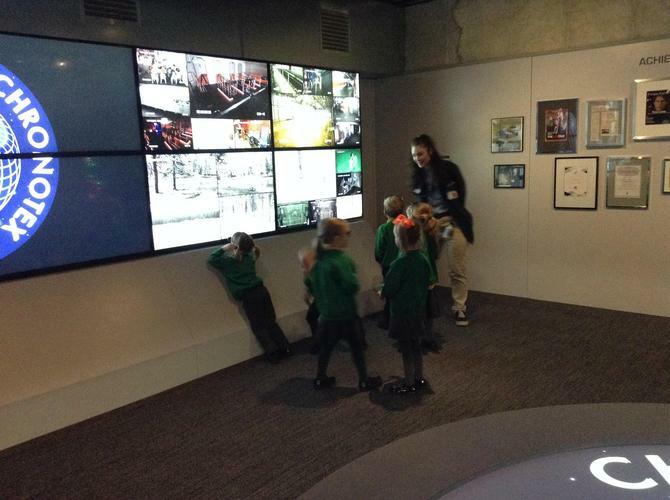 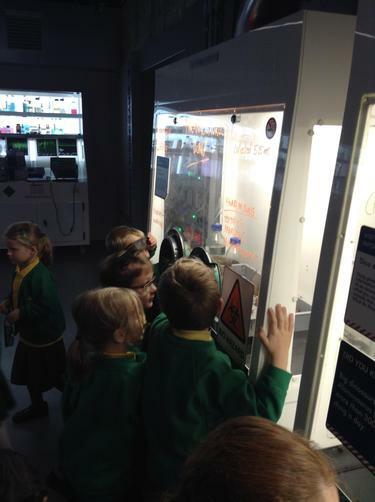 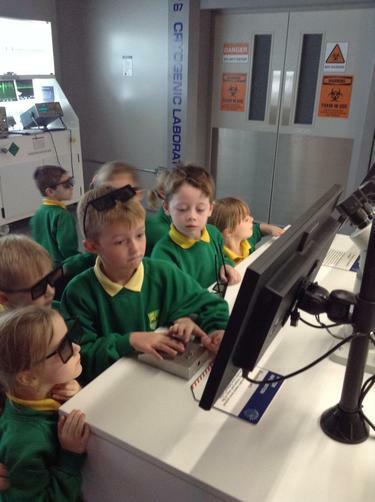 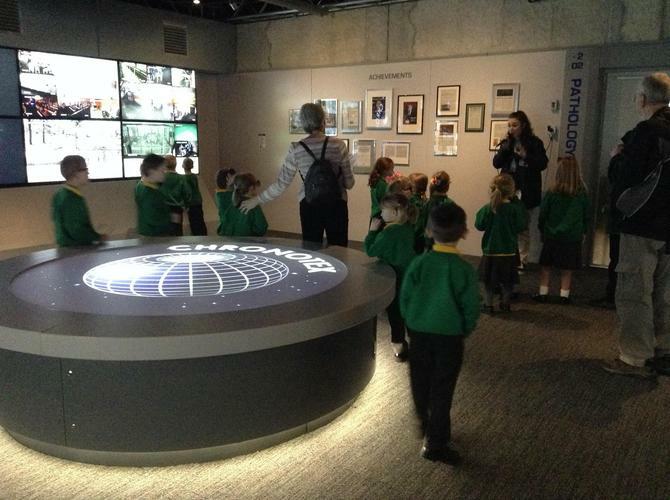 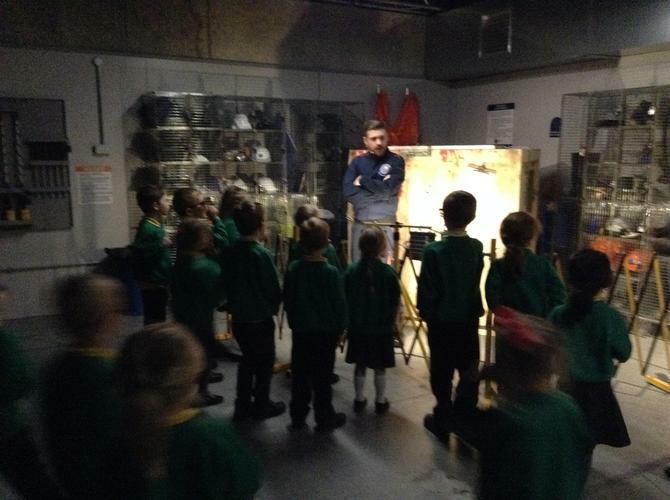 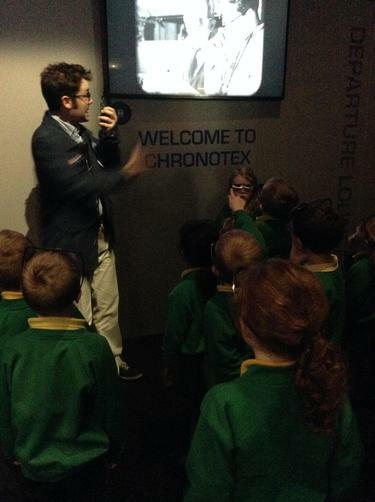 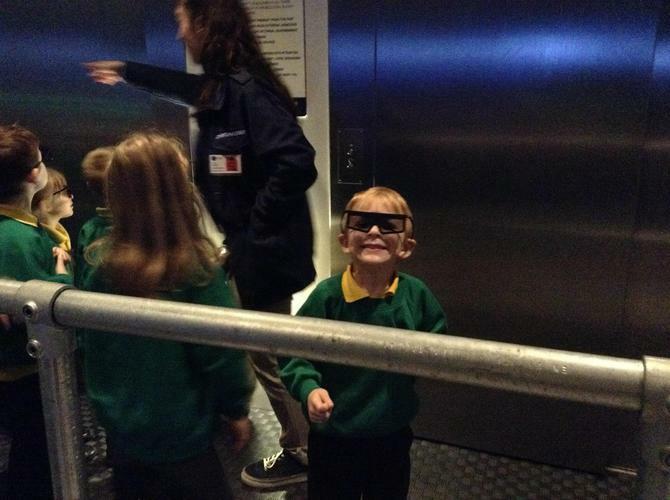 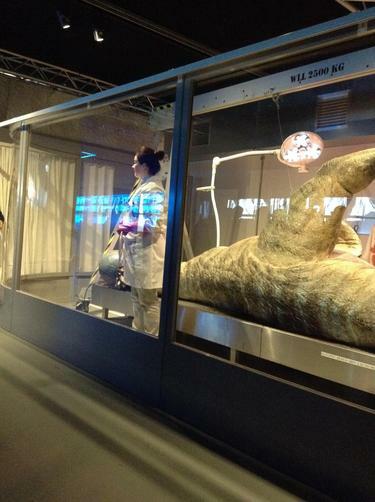 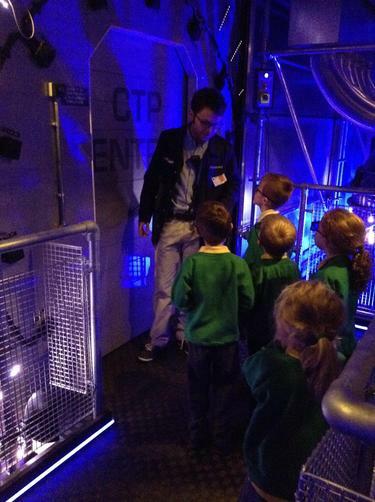 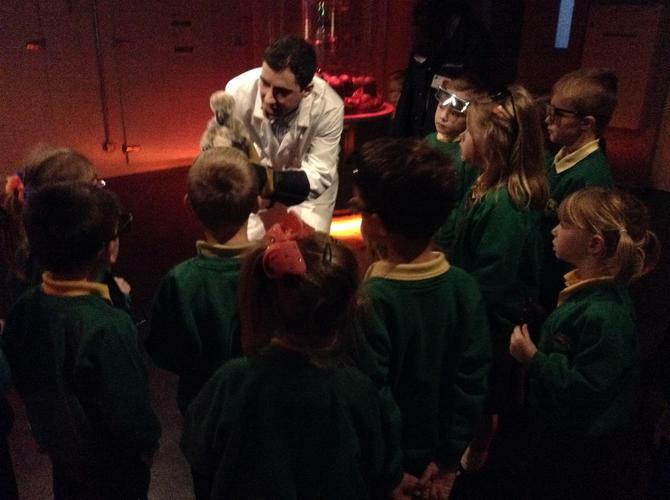 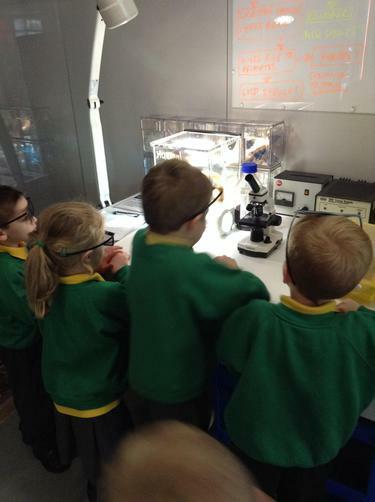 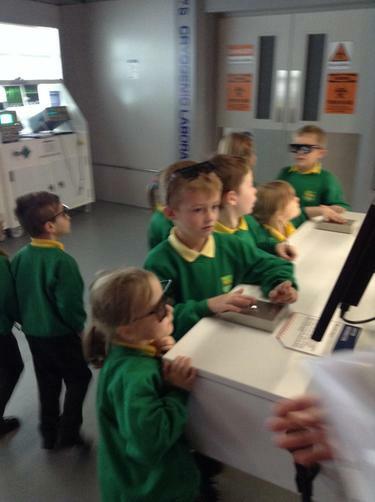 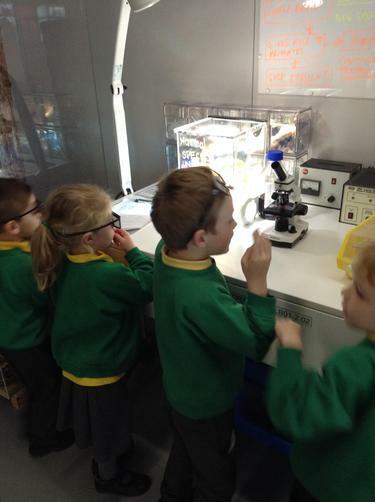 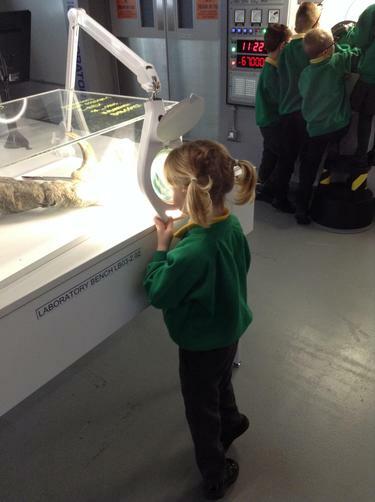 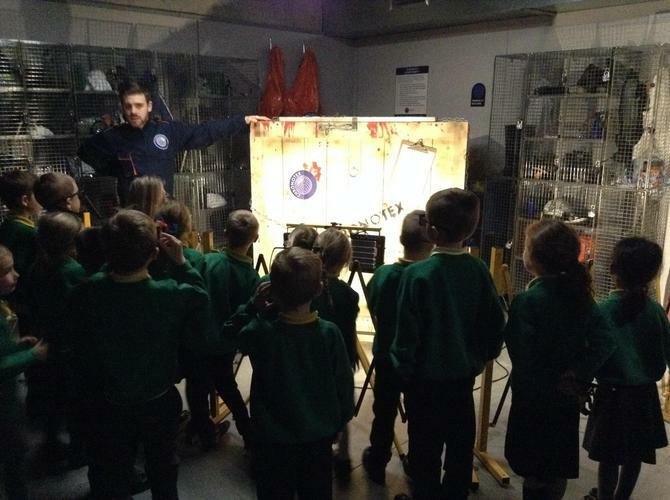 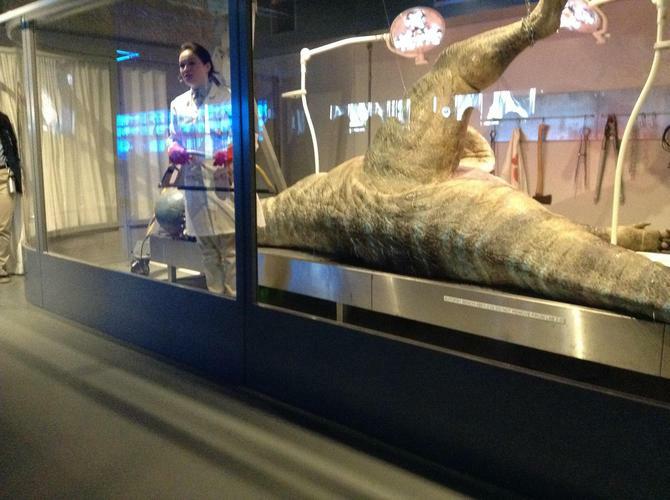 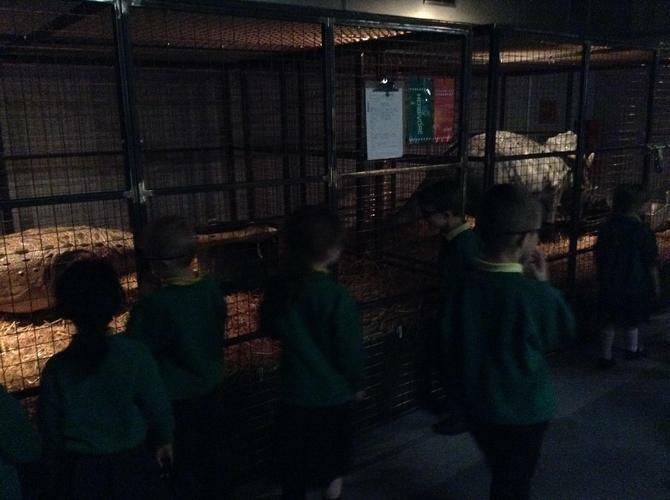 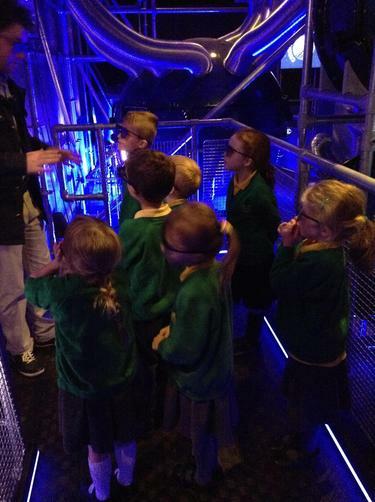 James says "My favourite bit was when we saw the lady look inside the dinosaur's skull". 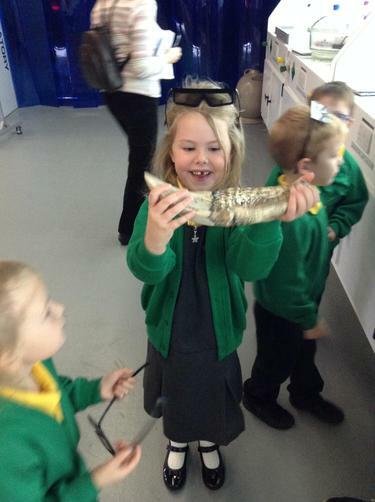 Evie says: "I liked it when I saw the baby triceratops coming out of it's egg".